This is an “Island” song, which was based in Hawaii, and is a mash-up of Frankie Valli’s Who Loves You Pretty Baby, with an original song, called Drop Baby Drop. I first heard it on a CD by the Langely Ukulele Ensemble in Langely, B.C. called Our Hawaiian Heart. It has been attributed to artist Eddy Grant, and has also been recorded by such well-known Hawaiian bands as The Manao Company, and The Mango Kingz. The Manao Company, from their 2008 album, Island Style. What I like about this ukulele version of the song is the nice barred chords of the second and third chords. It makes it easy to play and has a nice jazz sound to it. It’s in the key of A, so you get to learn that key and the complimenting V7th is E7. 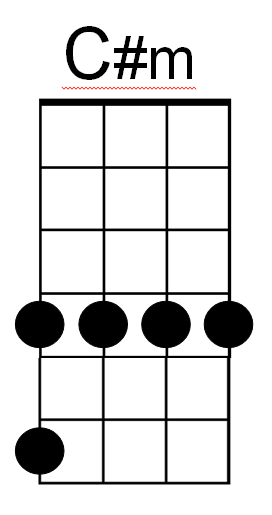 The other chords are Bm and Cm, but you just play them as 2nd fret barred and 4th fret barred (it actually sounds better, too). The progression starts on A and goes to Cm then Bm, thenE7 and back to A. While progressing from Cm to Bm it’s nice to light on the 3rd fret barred for a nice step-down sound. 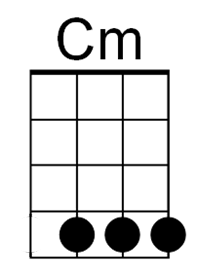 So you would go A////, Cm///3rd fret, Bm////, E7////. I like to start with the Who loves you pretty baby section, then launch into the verses. (That’s why you gotta) [A] Drop baby, [Cm] drop baby, [Bm] drop…. [E7] drop all your love on me! [A] Drop baby, [Cm] drop baby, [Bm] drop…. [E7] Drop ’cause I’m hungry! [A] Who loves you [Cm] pretty baby? [Bm] Who’s gonna [E7] help you through the [A] night? Who loves you [Cm] pretty mama? [Bm] Who’s always [E7] there to make it [A] right? *You can repeat the first two verses again if you want. I enjoy starting with the Who loves you section, and then the first 2 verses.